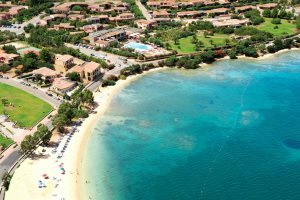 Located in the popular resort of Cannigione, Residenza Cala di Falco is only a short walk away from an array of restaurants, bars, water sport activities and beaches. Situated on the edge of Cannigione, a small bustling seaside resort of north-eastern Sardinia, Residenza Cala di Falco provides an excellent base for a traditional family holiday. The 30 apartments are simple in design and furnished in a typical Mediterranean style, all complete with a terrace or a balcony. There are various activities on site for children as well as light evening entertainment, though Cannigione offers a wider choice of amenities including water sports, a wealth of bars, restaurants and shops, and a couple of lovely sandy beaches – all within easy walking distance. For those who wish to sample the best beaches of the north east, why not hire a car or take a boat trip, and discover the hidden delights of the Sardinian coastline at your leisure? Payable locally: Linen and electricity Eur 63 per person per week. End of stay cleaning: € 55.00 for 1 bedroom apartment (bilo), € 60.00 for 2 bedroom apartment (trilo), € 65.00 for 1 bed apartment (bilo special), € 70.00 for 2 bedroom apartment (trilocale special), € 90.00 for 3 bedroom apartment (quadrilocale). Shared pool, television, telephone, air-conditioning, safe, hairdryer, beach towels provided, tennis court, beach volley, boules pitch. 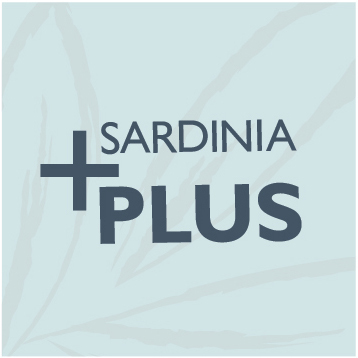 Available for a supplement: Piano bar, restaurants, internet access, boat trips to the Archipelago of La Maddalena, excursions. 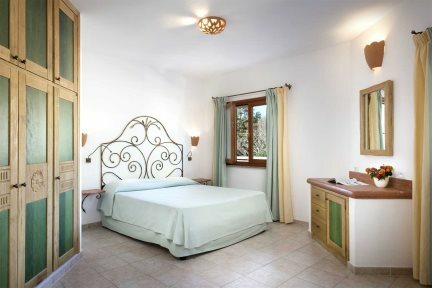 Payable locally: Linen and electricity €63 per person per week. End of stay cleaning: € 55.00 for 1 bedroom apartment (bilo), € 60.00 for 2 bedroom apartment (trilo), € 65.00 for 1 bed apartment (bilo special), € 70.00 for 2 bedroom apartment (trilocale special), € 90.00 for 3 bedroom apartment (quadrilocale). One-bedroom Apartments: Open-plan lounge with two single sofa beds and kitchenette, double bedroom, bathroom. Two-bedroom Apartments: Open-plan lounge with two single sofa beds and kitchenette, double bedroom, twin bedroom, bathroom. The three bedroom apartment at the Residence Cala di Falco is set around a swimming pool equipped with sunloungers and deck chairs in an exclusive and peaceful part of the resort. The apartment is on the ground floor and has a veranda provided with coffee table and chairs. It has independent entrances and has a double bedroom, second and third bedroom with two single beds (may be joined together on request), two bathrooms, living room with cooking area, bed pouf and built-in single sofa bed to sleep a seventh and eighth guest aged up to 13 years old. 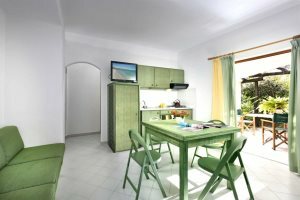 The two bedroom apartments at the Residence Cala di Falco are set around a swimming pool equipped with sunloungers and deck chairs in an exclusive and peaceful part of the resort. The apartments are either on the ground or first floor and have a veranda provided with coffee table and chairs. They all have independent entrances and have a bedroom with double bed (may be joined together on request), a second bedroom with two beds, bathroom with shower, living room with single sofa bed and a built-in single sofa bed and cooking area. They can accommodate four adults with the option of a fifth and sixth guest aged up to 13 years. 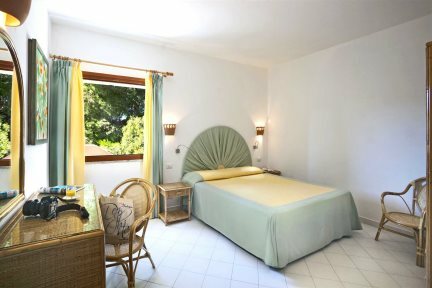 The one bedroom apartments at the Residence Cala di Falco are set around a swimming pool provided with sunloungers and deck chairs in an exclusive and peaceful part of the resort. The apartments are all on the ground or first floor and have a veranda provided with coffee table and chairs. They all have independent entrances and have a bedroom with double bed, living room with two armchair beds, bathroom with shower and cooking area. They are suitable for two adults with the option of a third and fourth guest aged up to 13 years. The two bedroom apartments special are set around a swimming pool equipped with sunloungers and deck chairs in an exclusive and peaceful part of the resort. The apartments are either on the ground or first floor and have a veranda provided with coffee table and chairs. They all have independent entrances and have a bedroom with double bed (may be joined together on request), a second bedroom with two beds, 2 bathrooms, living room with single sofa bed and a built-in single sofa bed and cooking area. They can accommodate four adults with the option of a fifth and sixth guest aged up to 13 years. The one bedroom apartments special at the Residence Cala di Falco are set around a swimming pool provided with sunloungers and deck chairs in an exclusive and peaceful part of the resort. The apartments are all on the ground or first floor and have a veranda provided with coffee table and chairs. 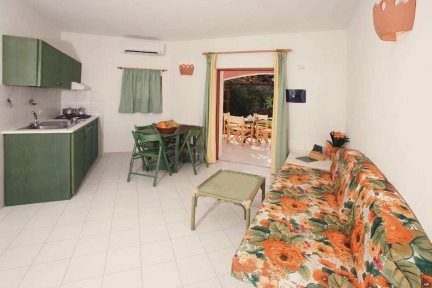 They all have independent entrances and have a double bedroom, two bathrooms, living room with cooking area and a pull out sofa bed to sleep a third and fourth guest aged up to 13 years old.